Black Virginians overwhelmingly think Virginia Gov. Ralph Northam should remain in office despite the recent scandal over one of his 1984 medical school yearbook photos showing two people, one dressed in blackface and another in a Ku Klux Klan hood and robe. Overall, residents of Virginia are more split on the question with 47 percent saying Northam, a Democrat, should stay and 47 percent saying he should resign, according to a Washington Post/Schar School poll conducted Wednesday through Friday. When the polling data is split by race, however, the numbers begin to tilt. Northam’s approval rating has dropped to 43 percent, the lowest rating of any Virginia governor in a Washington Post poll since 1997. Northam initially admitted to being in the photo and apologized. A day later, on Feb. 2, Northam walked back his apology and said the yearbook photo was not of him and was added to his page without his knowledge. 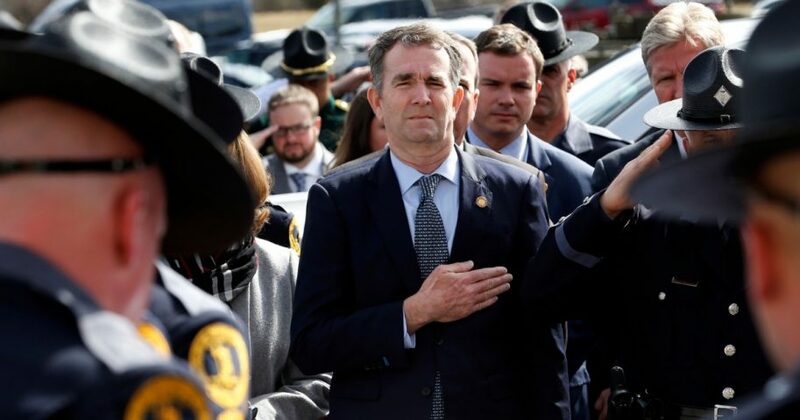 Northam did admit to wearing shoe polish to impersonate Michael Jackson at a 1984 dance contest. Seven out of 10 Virginians do not believe Northam’s excuses in his Feb. 2 news conference after his earlier apology, according to the Washington Post. While continuing to deal with the fallout from the scandal and following gaffes, Northam suggested that the yearbook photo controversy could make him a better governor in a Saturday interview with the Washington Post. “I have a lot more to learn … The more I know, the more I can do,” Northam said.